1. The cubit of Ezekiel (see the map of Israel. According to Ezekiel the Land of Israel in the future will be divided into 13 strips of equal length from north to south, 150000 cubits each. From the Temple till the southern border 5.8 strips. On the other hand the difference of latitude between the Temple mount and the southern shore of Sinai is exactly 4 deg. This defines the cubit of the Land=51 cm). 2. The cubit of a man 48 cm, the palm 8 cm, the inch=palm/p and the foot=double cubit/p. The origin of the inch as the diameter of the shekel (whose perimeter was equal a palm). The identity between C.Warren’s definition of the inch based on the arc length of the meridian and the above (according to Warren inch=18/53 of the pyramid palm, p. palm=1/14 of double pyramid cubit, d.p. cubit=1/220 of the Great pyr. base, g.p. base=1/8 of one min. arc-length at the latitude 30 deg, one min.=1847.5 m). 3. The increase of the unit of volume in Jerusalem by factor 6/5 and the corresponding increase of the cubit from 48 to 51. 4. The volume of the copper sea made by the King Solomon (Kings I, 7,23-27. Dimensions: exterior diameter 10 cubits of 51 cm, height 5 cubits of 51 cm. Side-wall: 1/6 of the cubit thick at the bottom, 0 at the top, form- half arc ”like petals of a lily”. The volume is also diminished by two rows of 300 balls under the brim, cast inside, each one of diameter 1/10 of the cubit (ten in a cubit). The total volume - 2000 bat or 450 cubic cubits of man. Correct up to 0.0001%!). 5. The length of the world and the cubits of the world (according to tract Pesachim p. 94 the length of the world is 24000x2000 cubits and is equal the distance passed by the sun from dawn till the night. The last is equal 15 hours or 14.4 hours depending on two opinions. The distance passed by the sun along the tropic line is correspondingly 15/24x40000 km or 14.4/24x40000 km. The world cubit is thus 52.08 cm or 50 cm with the cubit of the Land 51 cm being the average). 6. The five cubits of 48,49,50,51,52 cm as hinted in the width of the court of the tabernacle (the width is 50 cubits with or without the pillars which are cubit thick. Thus exterior width could be 50 or 52 and the interior one 50 or 48. According to some opinion the width of the court was equal 10 gaps of 4 cubits plus thickness of 11 pillars, or 51 cubits. The interior width being 49.). 7. The connection between different cubits in the Temple court and in the Temple (see the map of the Temple Mount . According to the tract of Measures the outer court is 500 by 500 cubits. It turns out that the southern and eastern borders are measured by men’s cubit of 48 cm while the northern and western ones by the world cubit of 52 cm. The south-west and the north-east corners are straight. Hence the angle between the eastern and the western borders is about 4.6 deg. as between the existing walls. However, the Temple and the inner courts are measured by the cubit of the Land of 51 cm). 8. 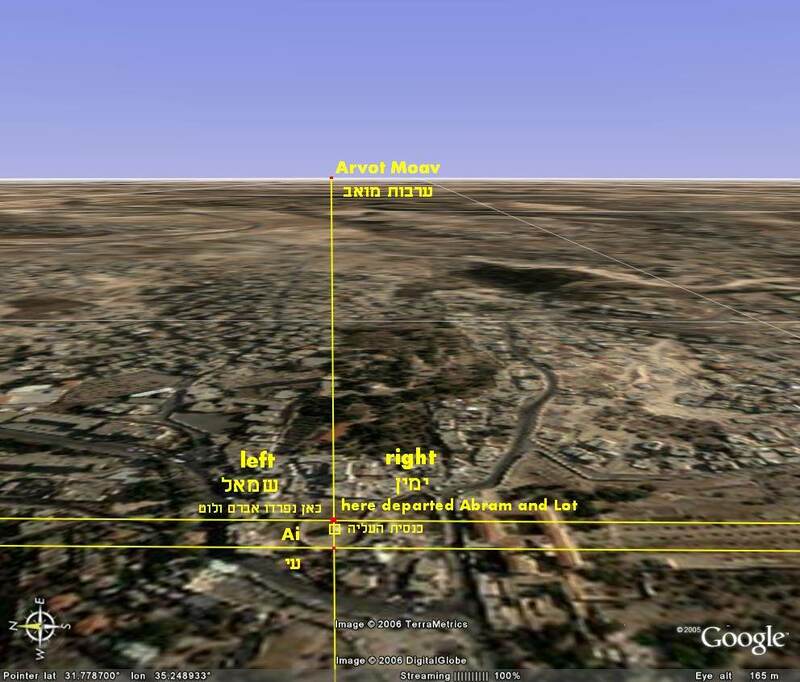 The location of the Temple and of the outer court (see the map of the Temple Mount. According to the tract of Measures the inner court is 135 by 187 cubits. Attached to it is the women’s court of 135 by 135 cubits. We also know that the distance between the inner court and outer court satisfies the inequalities: the largest distance at the south, second to the east, third to the north and the least to the west. The “natural“ solution of these inequalities suggested by a great scholar Tosfot Yom-Tov is 250, 213,115 and 100. In this solution we start with “ideal” inner court 100 by 200 which is double the one of the tabernacle and divide the differences 500-100=400 and 500-200=300 according to the Golden Section rule as 400=250+150, 300=200+100. While the inner court is corrected by 200-13=187, 100+35=135, we adjust two sides 200+13=213, 150-35=115 giving preference to the “spiritual” directions south and east. With the center of the Holy of the Holies set at the top of the Rock near the middle of the Dome of the Rock and with the axis of the Temple perpendicular to the eastern wall and with the relative position of the Temple in the inner court as specified in “Measures” we find the north-east corner of the inner court and shifting by (213, 115) cubits (of the Land) we find the north-east corner of the outer court. The miracle is that it coincides with the north-east corner of the Golden Gate). 9. The cubit of the Land and the journeys of the children of Israel in the desert (see the map of Israel and the list of stops as given in Numbers 33, 1-49. Each journey is 40 mils, 1 mil=2000 cubits of the Land (besides the journeys 0-1 120 mils, 11-12 120 mils and 13-14 280 mils as known or could be inferred from the Torah). As stated in the tract Pesachim p.94 this is the standard distance passed by a man per day. With additional information given in the Torah one can find uniquely all 42 stops. 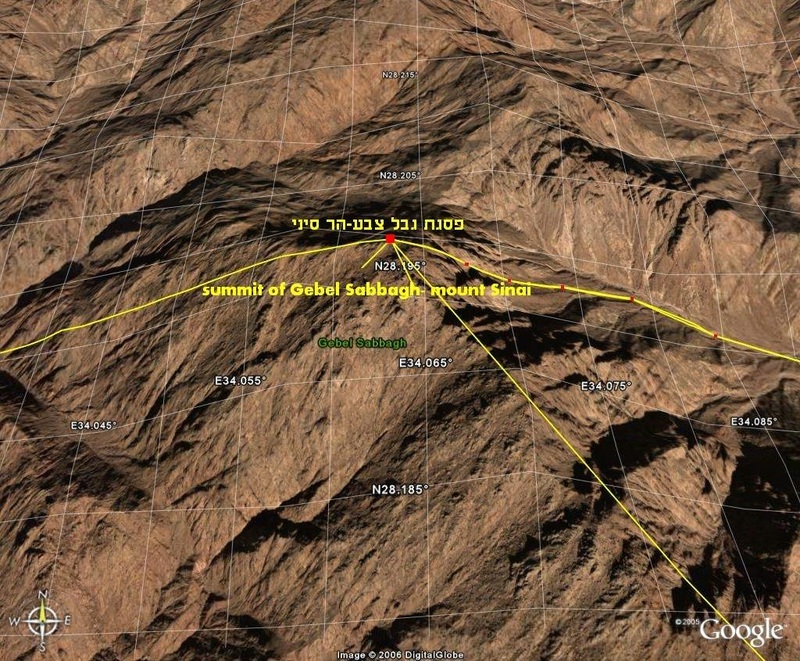 In particular the Mount Sinai is identified with Gabel Sabagh Lat. 28.1964 Lng. 34.0640 The excessive data results in identities which are satisfied with astonishing accuracy). 10. The cubit of the Land and the ladder of Yaaqov ( the length of the ladder from Beer-Sheva till Luz is 75 mils as the extent of Jerusalem according to Ezekiel. The width of it according to tract Chulin 91b is 32000 mils or 32640 km. On the other hand the radius of the latitude circle of the Earth at the middle of Jerusalem (Lat. 31.5708) is 5439.1 km. With p=3 as in Kings I, 7, 23 the length of the circle is 32635 km). 12. The size of the Land of Israel 400 by 400 parsa (parsa=4 mils=8000 cubits of the Land. This size is several times mentioned by the sages. The actual area of all tribes is however about 400 by 400 mils (relative error 0.03%) . There are 3 interpretations of the size 400 by 400 parsa. 1) In the Temple court people were standing dense, each on one sq. cubit, but bowing down loose, 4 by 4 cubits each. The Land of Israel is also called the land of deer since it expands as the skin of a deer. Apparently the expansion factor is 1 to 4x4. 2) the sum of the borders of all tribes (the inner borders counted twice) is about 1600 parsa (relative error 0.17%). 3) if we add to the area of all tribes the strip of Jerusalem and of the Prince around the globe, which is the ladder of Yaaqov, we obtain 400x400 mils+32000x75 mils= 1600x1600 mils=400x400 parsa!). 13. The cubit of the Land and the walls of Jerusalem (see the map of Jerusalem. The walls of Jerusalem are described in Nehemiah 3,1-33. All sections were of the same length 1000/6 cubits. At the Temple mount they were measured by the cubit of man 48 cm, while in the city by the cubit of the Land. The building started at the sheep gate which is the eastern gate, on the axis of the Temple, and proceeded counter clock-wise till the broad wall (in front of the triple gate of today). Then they jumped to the old gate (Kipanus gate in front of Shalshelet gate of today) and built the walls of the city, again counter clock-wise. The calculated wall fits the description in Nehemiah and the archeological evidence. In particular we proved, that contrary to the common view but in complete accord with the Jewish tradition and with the testimony of Josephus, the city of David was not in Siloam but at David’s citadel near Jaffa gate. The grave tomb of the kings thus should be under the police station in Kishle. 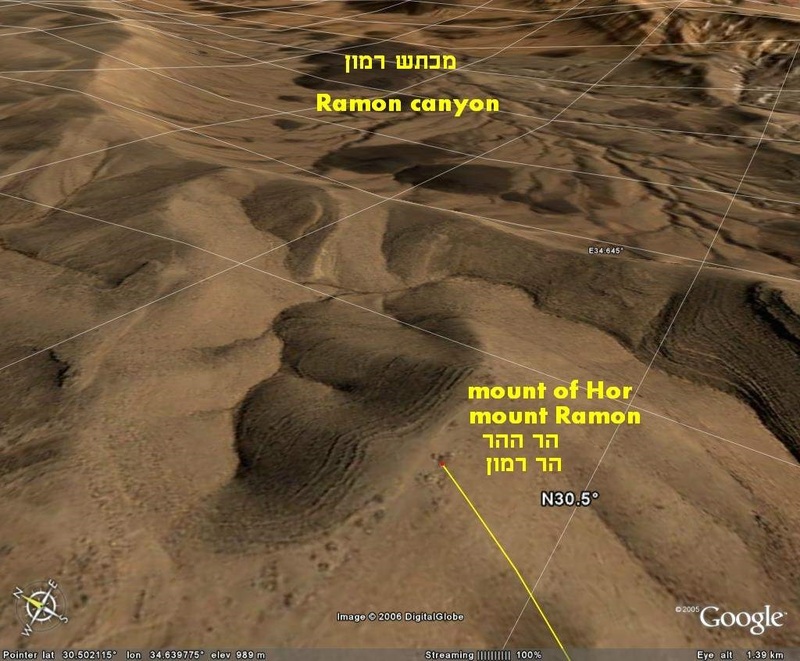 It turned out that the grave of Aaron at Hor HaHar (stop 33 on the map of Israel at the summit of mount Ramon), the cave of Machpela in Hevron, the tomb of Rachel in Bet-Lehem and the (calculated) grave of David in Jerusalem all lie on one geodesics (with accuracy of few meters)). 14. The cubit of the Land and reconstruction of the events described in the Bible in space and time (the standard walking distance per day is 40 mils=40.8 km. From it we can find locations of many places. For example, Yaaqov walked 4 days from Haran till Gilead where Lavan reached him. Hence Haran is 163.2 km north of Gilead. Thus we arrive at the conclusion that Haran is the city of Baal Beck in Lebanon. The next two stops of Yaaqov at Machanaim and at Succot are 40 and 80 mils south to Gilead (more precisely, 2 hours walk more for Succot because of the early sunrise). Thus we found that Succot coincides with the final stop of the children of Israel in the plains of Moav (stop #42 on the map of Israel). This point also lies on the axis of the Temple and at the east border of the square of Jerusalem 75 by 75 mils. On the other hand it is in the middle of the 12 by 12 mils camp of Israel, 6 mils south of ruins of Jericho and 6 mils north of the mouth of the Jordan river. This is also Dotan where Joseph was sold by his brothers (Gen. 37-17) and the floor of Atad where Yaaqov was mourned (Gen. 50-10). Conversely, given the distance we can find the time of the travel. For example, Avram and Sarah left Egypt on Passover (as the children of Israel).The distance from there till Jerusalem by the shortest way through El-Arish, Beer-Sheva and Hevron is 320 km or exactly 8 days. Thus Avram reached Jerusalem at the evening of Nisan 22 (year 2024 of the Creation).Yaaqov left Succot at the first day of Succot after spending there 1.5 years. He came to Shekhem at noon of Tishrey 16 after walking 60 mils and spent there 3 more days (Gen. 34-25). He then went to the northern Beit-El (Shilo) on Tishrey 20 and to the southern Beit-El (Jerusalem) on Tishrey 21 (year 2208 of the Creation). These two dates are crucial in understanding the reason for the strange orientation of the walls of the Temple mount). 15. The orientation of the Temple mount and of the Temple. The mathematical, astronomical, historical reasons and the geographical connections. The orientation of the Third Temple in the future. (The central part of the eastern wall of the Temple mount which dates to the first Temple, is directed 6.0-6.2 deg. west of the north, the western wall 10.55 deg. west of the north , the southern wall is perpendicular to the western one and the northern wall is perpendicular to the eastern one. On the other hand, the eastern border of the upper platform of the Temple mount is directed about 1 deg. west of north, the western border 11.5 deg. west of north, the southern border 10.0 deg north of east and the northern border 6.9 north of east. The original borders of the Temple mount (before the extension) were as follows: the eastern border coincided with the eastern wall, the northern and western one followed approximately the borders of the platform, the southern border followed the northern border of al Aksa. These borders are well fitted by the “almost square” 500 by 500 cubit court as described in paragraph 7. The eastern border of the platform approximates the supporting outer wall of the inner court (which was directed south-north) while its southern border approximates the division line between Yehuda and Binyamin which ran through the middle of the Kipanus gate . The mathematical reason for the angle of about 4.6 deg. is the “compromise” between inner and outer dimensions of the width of the court of the tabernacle and is reflected in the cubits of man and of world. The relative difference of squares built on these cubits ((500x52)2-(500x48)2)/(500x48)2)=(5/12)2 is almost equal to the relative area of the “holy” courts: the inner and the women’s court (187+135)x135/5002 (to obtain identity one should realize that due to some non-standard cubits in the parts of the altar, its size was 31.5 instead of 32 cubits and the length of the inner court hence was 186.5; in addition a 2/3 finger=1/36 cubit strip for fingers of the leprous was sanctified in the 10 cubit wide eastern gate). The axis of the Temple is perpendicular to the eastern wall. north of east. Here 23.5 is the average obliquity of the ecliptic and 31.7777 is the latitude of the center of the Dome of the Rock. Since the angle between the western and eastern borders should be 2arctan(52/48)-90=4.58122, the direction of the western border should be correspondingly 10.7787 or 10.5522. The western wall fits the second angle. However the inner western wall could have been directed by the first angle. It seems from the Talmud tract Eruvin 56a that there was a special direction in the Temple mount linked to the sign “the calf at the north” by which the direction of the north could be checked. There is a special moment when the longitude of the sun is 23.5 deg as the obliquity of the ecliptic. At that moment sun would rise at the angle arcsin((sin23.5)2/cos31.7777)=10.78000, perpendicular to the western wall in case (a) (the difference of longitude between the eastern and western walls accounts for the 0.001 deg. difference between the two angles). Another connection between the eastern wall and the astronomy is given by the time of after-noon prayer. According to Yoma 28b this time is half an hour after noon and is linked to the time when “walls become dark”. It is suggested that the sign fits the shortest day, i.e. the winter solstice. The length of the day at Lat. 31.7777 is then 148.7474 deg. and half an hour of the day time (i.e. 1/24 of the day) corresponds to the hourly angle 6.1978 deg. This is almost exactly the direction of the eastern wall in case (a)! The wall however becomes dark not afternoon but about 27 min. (of relative time) before noon. The reason for the postponement of the prayer and of the sacrifice is that we add afternoon the same time as before noon and consider it as a transition time between morning and evening. The historical reasons are the most important ones. It says in Gen. 13-7,8,9 “And there was a strife between the herdsmen of Avram’s cattle and the herdsmen of Lot’s cattle... And Avram said to Lot ...separate thyself from me: if thou wilt take the left hand, then I will go to the right; or if thou depart to the right hand, the I will go to the left”. Left in Torah means north and right-south. They were standing with their face to the east. Lot saw the plain of Yarden and instead of north or south he chose the east. We saw in paragr. 14 that Avram and Lot reached Jerusalem (this is the southern Beit-El) at the evening of Nisan 22, year 2024. The next morning they were standing on the top of the mount of Olives on the axis of the Temple. Why? Because if they stood somewhere else and Lot would choose the side where is the Temple mount, then Avraham would loose completely the connection with G-d. Let us check what was the direction of the sunrise on this morning. Instead of astronomy we will use the Hebrew calendar rules. Knowing the first new moon on Tishrey 1, 14 hours, year 2, the number of years since, the number of months and the length of a month (29.5+ 793/1080/24 days) we can count the number of days till Nisan 23, 2024. The vernal equinox is computed by two conflicting opinions, of Shmuel and of Rabbi Ada. By Shmuel the first Fall equinox was on Tishrey -1, 15 hours, year 2 and the length of a year is 365.25 days. By R. Ada the length of a year is 235/19 lunar months but the first equinox was 7 days later. It turns out that the morning of Nisan 23, 2024 was 13.75 days after the equinox of Shmuel and 13.18 days after the equinox of R. Ada. The sunrise was correspondingly 6.31 deg or 6.05 deg. north of east. The average number is 6.18 deg. versus 6.1975 computed above. There are 3 more instances when forefathers came to the Temple mount. One is the burnt offering of Yizhaq, 3 days after his 37 birthday (Gen. 22-4) Nisan 18, 2086; second the dream of Yaaqov on Passover when he was 77 (Gen. 28-11) Nisan 14, 2186; third- his return to Beit-El 21.5 years later (Gen. 35-15) on Tishrey 21, 2208. In the first instance the sunrise according to Shmuel was 6.08 deg. and according to R. Ada 5.92 deg. north of east. In the second 6.08 and 6.06. In the third the sunset was 10.794 or 10.799 deg. south of west, perpendicular to the western wall! Apparently, Yaaqov set up a pillar of stone (Gen. 35-14) which determined the direction of the western wall. (All angles are calculated as if the sunrise or sunset was at 6 a.m. or 6 p.m.. Refraction is not taken into account. It is possible that the angle should be computed as if the sun would rise or set at the actual instant, not in the morning or evening of that day). Interestingly enough, the opinions of Shmuel and R. Ada nearly coincided at that instant. It seems that both solutions were employed at the Temple mount: the angle 6.1975 in the first Temple and the angle 5.971 in the second Temple. The geographical connections: the axis of the Temple was the eastern division line between Yehuda and Benyamin. It passed through the summit of mount Moria, the middle of Shoshan gate, the summit of Olive mount and the middle of the 12 by 12 mils camp of children of Israel in plain of Moav. Also the rock from which the scapegoat was sent, 12 mils east of the eastern wall of the Temple mount, is located on this axis. The continuation of this axis to the west passes through the hill where Accra was built (this hill was excavated by Shimon Hashmonai and became part of pool of Hizkia) and through the Upper Gichon spring. The western axis was perpendicular to the western wall and passed through middle of Kipanus gate which was symmetric to Shoshan gate (365/2 cubits of the Land away of the south-west corner of the outer court, the same distance as Shoshan gate was away from the north-east corner). This axis was the western division line between Yehuda and Benyamin and the northern border of the holy city. Its continuation passed through the south-west corner on David’s Citadel. In the future the axis of symmetry of the Temple will turn exactly to the east. The altar which was shifted 9 cubits south of the old axis of the Temple will be centered at the new axis. As a result, the south-west corner of the altar will stay almost at the same place and the wine and water offerings will drain to the same draining pit. Also the inner and outer courts and the holy city of 3000 by 3000 cubits (Ez.45-2) and the outer city of 13.5 by 13.5 mils (Ez. 48-30) will be symmetric with respect to the axis of the Temple. The mount of Olives will split along the old axis and the division line between Avram and Lot together with two churches of Ascension will disappear). 16. The relation between the mathematical uncertainty of the lunar motion and the certainty of the calendar mean new moon. 17. The approximation of p by 355/113, the sizes of the inner and women’s courts, the Sanhedrin of 71 and the chamber of Justice, the sizes of all chambers and the equal division of the Temple mount between Yehuda and Benyamin. 18. The Pythagorean triangles, the pillars of Solomon, the ten bases of brass, the gates of the courts of the Third Temple and the pillars of the Third Temple. 19. The complete design of the Second and of the Third Temples. The side chambers around the Temple as a counter-weight against the inclined walls. 20. Definition of units of weight, volume, length and time through the heavenly manna. 21. Twilight, the borders of Israel, the sizes of the Temple courts and the future universal time. 22. The mathematical design of the burial caves of the four couples in Hevron and its relation to the burial places of Aaron, Rachel and David.